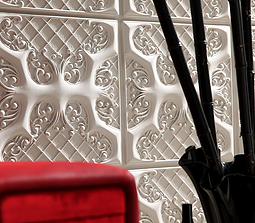 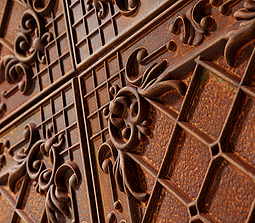 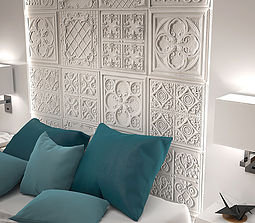 Our Vintage Wall Panel Collection is based on vintage stucco patterns allowing you to become a trendsetter in fashion. 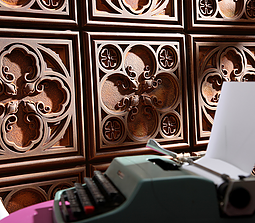 Our modern technological society has advanced mankind but often leaves us with a feeling of nostalgia for the past. 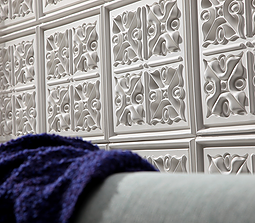 If this is how you feel, you can use Vintage Collection decorative panels to make your home a place where you can escape from urbanized social standards and the stress of modern life. 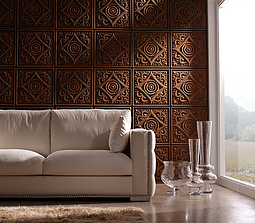 This style uses classic colours such as pure white and coffee. 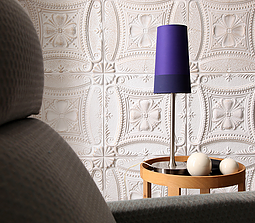 You can experiment with bowls of fruit or flowers to look like a still life painting or use natural wood or light coloured furniture as a contrast. 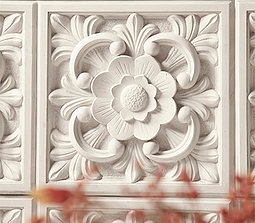 Vintage decorative panels can be applied to walls in any room of the house, even the kitchen and they will always look just like the real thing.